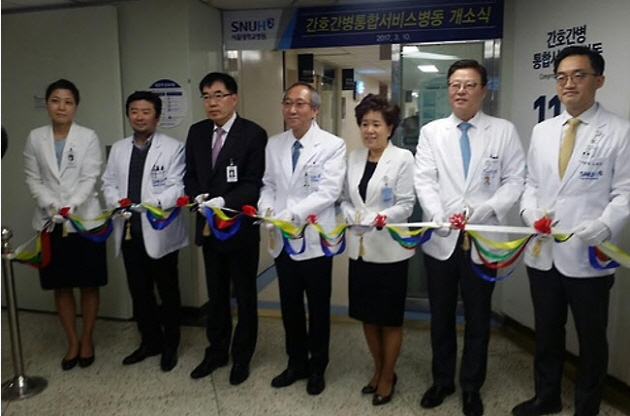 On March 10, the SNU Hospital held an event marking the opening of the new nursing service which aims to “reduce the financial burden of medical care and increase the role of the public hospital,” according to Jeong Sook Cho, director of the SNU nursing center. This new service is located in Building 112 and has 40 wards. As of March 8, a total of 250 patients had used this new service and reported their satisfaction with the service’s intensive care program and new facilities. In particular, the patients reported that they felt a sense of security, being constantly surrounded by the medical staff. With the constant presence of staff, caregivers are not required to constantly stay overnight with patients, alleviating inconvenience for patients’ families. Cho also emphasized the amount of effort required to establish this nursing center, pointing out that the hospital conducted a survey of relevant research institutes, visited hospitals both domestic and overseas, recruited and trained its staff, and remodeled its ward in providing this service for patients.